More snow today, and the landscape definitely looks wintry. Here is the view from our front deck. Unfortunately, the forecast is for freezing rain later in the day, and if there is one thing we Mainers hate, it’s freezing rain. Because Clif and I work from home, we no longer have to worry about driving on slick roads, but we are certainly sympathetic with those who must brave slippery highways to get to their jobs. Fingers crossed that the forecast is wrong, and it snows rather than rains. “A mysterious library, magical books, and unexpected journeys to new lands and times? A resourceful, intelligent, and thoughtful teenaged protagonist that we can relate to and love and root for? A clever, fresh (and extremely relevant) take on the classic battle between good and evil? Creative plotting, beautifully realized characterization, precisely detailed world building, and perfect pacing? I’m all in. Laurie’s book really is everything! Many thanks, many thanks, Sheryl! Winter is a very beautiful time in Maine. And, yes, a lovely review. Liked the snowy picture, glad you don’t have to be on the move to go to work. Very nice to be snug and warm with no place to go on a stormy day. Very nice review. I hope it stays snowy. We have very brief rain, but it is back to snow. 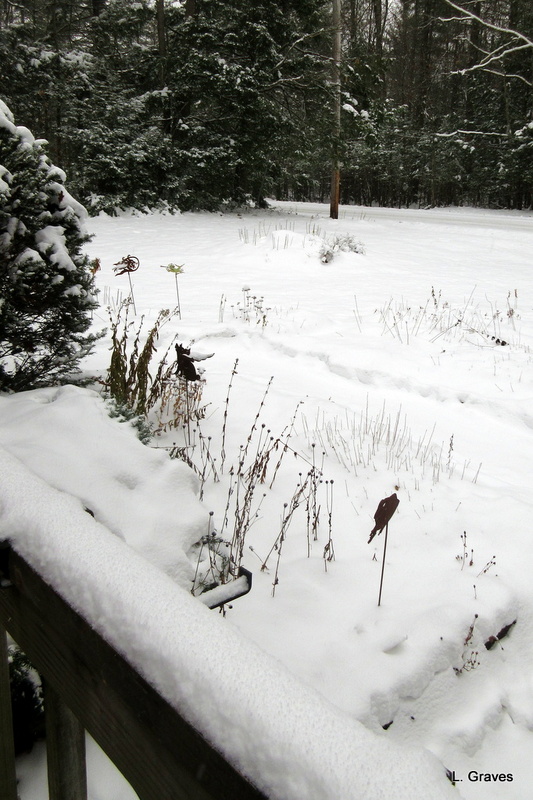 We’ve already shoveled once, boy, heavy stuff! Cold tomorrow! Yes, indeed! Looks like wintah out there. A well deserved review. Those Canadians know what they are talking about! Thanks a million for the shoutout, Laurie – I so enjoyed reading and reviewing your book and I am definitely looking forward to more of Maya’s adventures! Hope that freezing rain didn’t materialize. Your snow looks beautiful. Here in Calgary, it is alarmingly dry (at least there is snow in the mountains that we can have some fun in!) but the forecast is for a white Christmas. Oh, a million thanks to you! 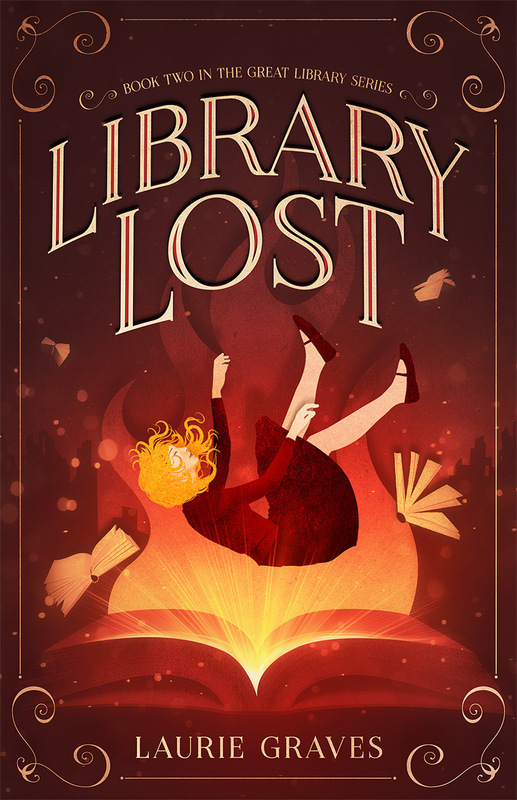 I’m nearly two-thirds through the next book, “Library Lost.” Hope to finish before spring. Also, hope you get that white Christmas and the much-needed moisture. Alarming dry is no joke, as California is proving. Oh, lord! Makes me glad I live in Maine, where drought is usually not a serious problem. The review is very good and deservedly so! Your photos look very wintry; I hope you didn’t get the freezing rain. We did get a bit of freezing rain, but it wasn’t too bad, and, best of all, our power wasn’t knocked out.